There was a time in the not-too-distant past when prospective employees would have to mail their resumes or work samples to a hiring manager. Read our profile of NPR host A Martinez’s rise to fame for proof. It was a hassle, which is why the internet has made job searches easier. Between email, websites like Indeed.com and social media hubs like LinkedIn, there’s nothing holding people back from getting their dream job. Which is why California State University, Northridge is teaming up with the “career readiness” website Portfolium to offer students and alumni, free of charge, a hub to be found. Some current students and new alumni, who are long on talent but short on experience, believe LinkedIn is too professional for them to use. 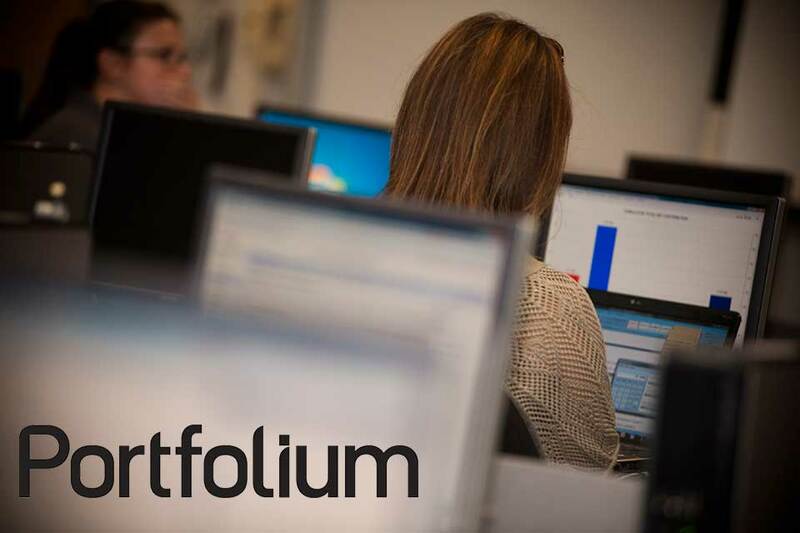 Portfolium gives them an online arena to display their work. Not only that, it gives users another perk unavailable in the days before digital — immediate and direct access to the companies that are hiring. According to Mayra Solano, director of planning and communications for the campus’ IT division, current students were sent a welcome email from the office of Vice President, Student Affairs and Dean of Students William Watkins last week. This is in addition to an email from Portfolium with a link to get started personalizing their accounts. Solano also noted that in the near future the CSUN Alumni Association will be sending out an email letting CSUN alumni know how to access Portfolium.